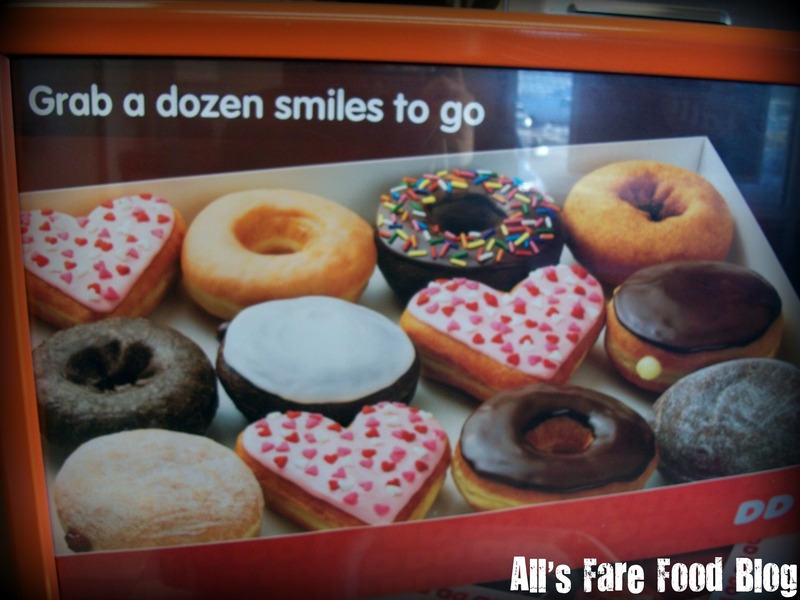 February is for lovers …chocolate lovers… at Dunkin’ Donuts. To celebrate, they have a few new donut specialties including a Reverse Boston Kreme, the Cocoa Kreme Puff, Chocolate Chip Bagel Twist and iced mochas. Brett and I are HUGE fans of DD’s Boston Kreme. 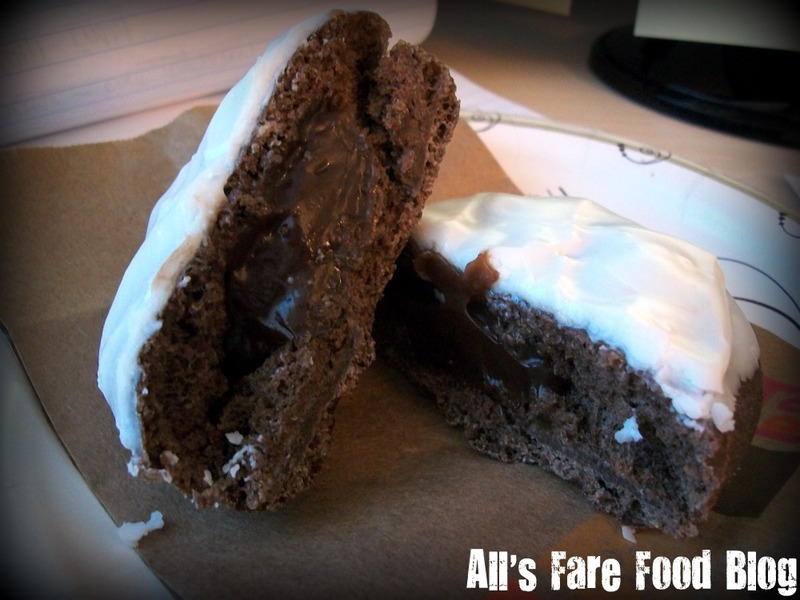 It’s a yeasty, airy donut with a great Bavarian cream filling and a little bit of chocolate glaze on top. I have yet to find a place that makes a better Boston Kreme. So, when we saw that they were introducing the Reverse Boston Kreme, we knew it was only a matter of time before we tried it. While I give Dunkin’ Donuts props for trying to make a yeasty, light chocolate donut, I don’t think that they have done their best work with this creation. Let me start off with the cream filling. I was expecting in a reverse-style donut that this would have a vanilla cream since the outside was chocolate. However, this chocolate filling had way too much cocoa in it, almost to the point of tasting like bitter coffee. The donut itself was OK but it didn’t exude the strong chocolate flavor that I had been yearning for, and the vanilla glaze on top didn’t have much vanilla flavor to it at all. Still, I made up for the experience by trying one of their new coffee flavor shots – coconut. Unlike some of DD’s other coffee flavorings, the coconut wasn’t pre-sweetened. 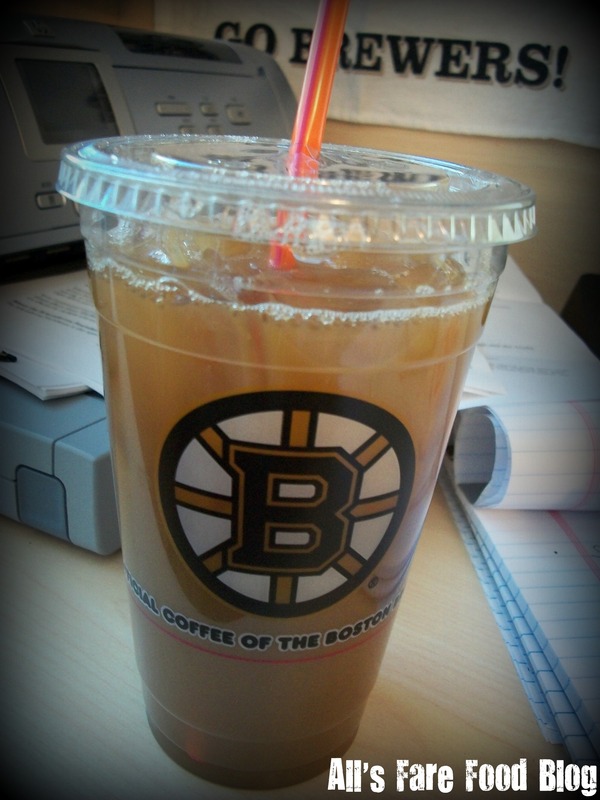 I ordered this as an extra shot to my medium decaf iced coffee (and it was about 10 degrees outside). Notice how in the picture my cup has the Boston Bruin’s logo on it but I still managed to represent the 414 with my Brewers towel in the background. You can have the coconut flavor added to many drinks including lattes and hot chocolate. It’s a nice change of pace from my usual Dunkaccino. In the meantime, I’m going to keep enjoying my chocolate donuts from DDs. However, it’ll be the cakey variety. This entry was posted in Cuisine - American, Cuisine - Desserts, Places - Boston, Places - Massachusetts, Places - New England and tagged Boston Bruins, Boston Kreme, chocolate chip bagel twist, cocoa kreme puff, coffee, Dunkaccino, Dunkin' Donuts, iced coffee, iced mochas, icing, latte, Milwaukee Brewers, postaweek2011, Valentine's Day by Christina. Bookmark the permalink.